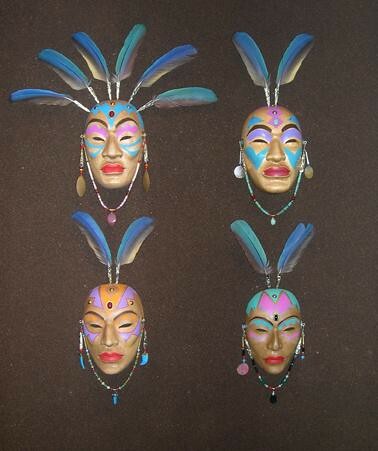 Home » Galleries » Past Shows » 2006-2007 » Preus Library » "Faces And Masks"
Zarco Guerrero has been a force in the Arizona art scene since the early 1970s, as a multi-media artist and community arts advocate. He has participated in the Artist in Education program of the Arizona Arts Commission and has conducted workshops throughout the U.S. since 1972. 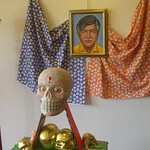 The artist has had one-man shows in Mexico and throughout the United States. He is the founder of Xicanindio Artes, Inc. a non-profit organization dedicated to better understanding of Latino and Native American arts. 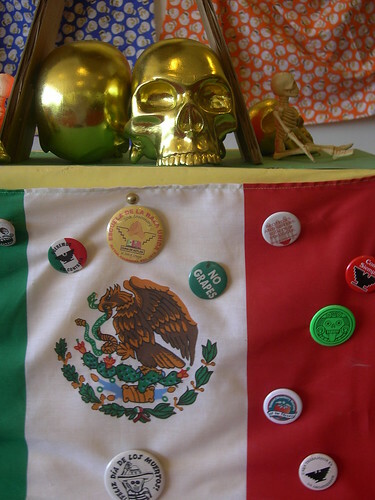 In 1984, PBS broadcasted nationally a one-hour documentary about his art entitled The Mask of El Zarco. In 1986 he was awarded the prestigious Japan Fellowship from the National Endowment for the Arts and spent one year in Kyoto, Japan, studying the Noh Masks as an apprentice to Joshun Fukakusa. 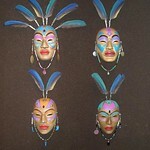 From Japan, the artist investigated mask carving in Bali, Indonesia and China. 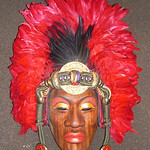 In 1990, Zarco received an Arizona Commission on the Arts Artist Project Grant to pursue his mask carving in Mexico. 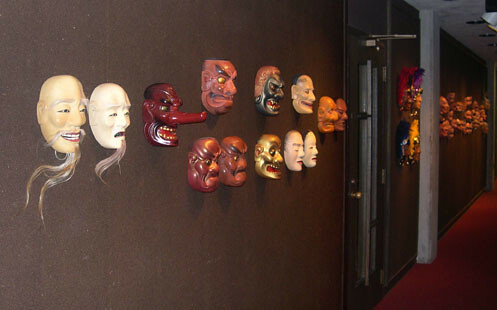 He was the mask maker for La Mascarada la Vida, a play by Childsplay, Inc. in which he also played the lead male and co-composed the musical score. This play was featured at the Kennedy Center in Washington D.C. 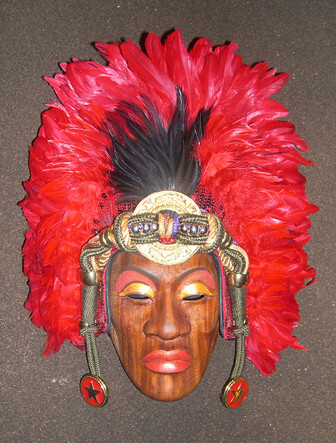 In 1991 The Institute for Studies in the Arts at Arizona State University and its dance department performed A Song for the Forest People, a dance/opera written by Zarco in which over 30 of his masks were featured. In 1993 he was awarded Arizona's Governor's Arts Award for his artistic contributions to the community. In 1994 he was the recipient of the 1994 Scottsdale Arts Council's Chairman's Artist Award. In 1998, he completed a larger-than-life size bronze sculpture of farm worker leader César Chávez commissioned by the City of Phoenix. Zarco has performed regularly for many years with the Latin and world beat band Zúm Zúm Zúm. 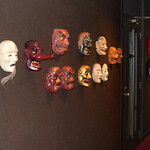 Face to Face in a Frenzy is a one man play by Zarco where he uses his masks to create multiple characters. 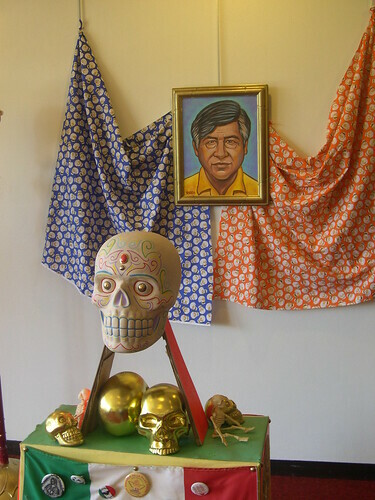 Zarco regularly portrays El Diablo as the lead role in La Pastorela, a contemporary interpretation of the traditional Mexican drama. Most recently, Zarco and his family have written and produced Que Pasión! 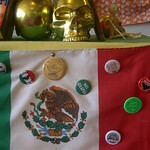 - An Extraordinary Easter Story, which depicts the crucifixion and the resurrection from a unique Chicano perspective.